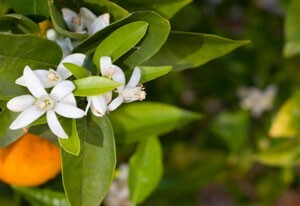 There are a number of things to consider when trying to determine why your orange tree does not produce pollen. Factors such as variety, age, light, and fertilization need to be addressed. This is a guide about orange trees not producing pollen. My potted orange trees bloom, but do not produce pollen dust to pollinate. I'm not sure I can give you a good answer based on the information you gave me. What variety is your orange tree? There are dozens of varieties of orange trees sold for growing in containers and some have very different way of reproducing. 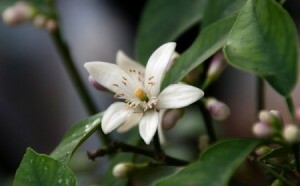 Some varieties require cross-pollination with other citrus trees to produce fruit (e.g. Tangor or Tangelos). Others are self-pollinating. Some, like the Washington navel, do not produce viable pollen at all. Instead, these trees are able to set fruit parthenocarpically, that is, flower and set seedless fruit without being pollinated. Another question is how old is your tree? Many orange trees do no start to produce successfully until they reach 5 to 6 years of age. If your tree is producing a lot of flowers, take that as a good sign. Keep in mind though, that only a small percentage of flowers will ever set fruit. Citrus trees need a lot of sun to produce fruit, but suspect that's not your problem. A lack of sun and your tree would never flower in the first place. Are you giving it adequate fertilizer? I would recommend a high-nitrogen, slow release fertilizer formulated specifically for citrus trees. If all else fails, next the tree flowers again, give it a good shake. If it is a self-pollinating variety, this should help do the trick.